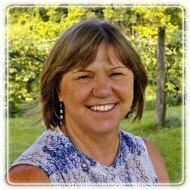 Honeoye Therapist: Margaret Masci - Therapist 14471. Send A Message To Margaret. Session Fees: Reasonable fee. Self pay by cash or check. As a Licensed Clinical Social Worker and clinical hypnotherapist, I love working with people, assisting them in identifying what they think is holding them back and then guide them as they overcome one obstacle after another, all toward reaching higher levels of functioning and well-being. I often use transformational psychotherapies such as relaxation, mindfulness, hypnotherapy and neurolinguistic programming along with other more traditional talk therapies. Clients say they are more relaxed, then energized, as they recover what they have lost, explore viable options and move forward with their lives. Some folks wait years before asking for help. Or they try one therapist and cut it short when it "didn't work out." But I encourage you to TRY AGAIN. Most of my clients indicate that this was "easier" than they thought it would be, wishing they had called sooner. For couples, you can tear down some of habits that keep you apart and feeling lonely. Learn how to identify what you need and lovingly share that. Also, learn specific skills to reduce the criticism, listen with your eyes as well as your ears, and increase intimacy. Find again what you once loved and admired about your partner. Learn proven strategies to effectively reduce conflicts, restore goodness, deepen the connection, and strengthen that which is best between the two of you. There is a path toward individual fulfillment and meaningful relationships while maintaining balance and wholeness in your life. What does your path look like? When do you begin or begin again to take those next steps? Live with intention, follow your own lead, trust yourself to discover what is right for you! Be your own best ally!